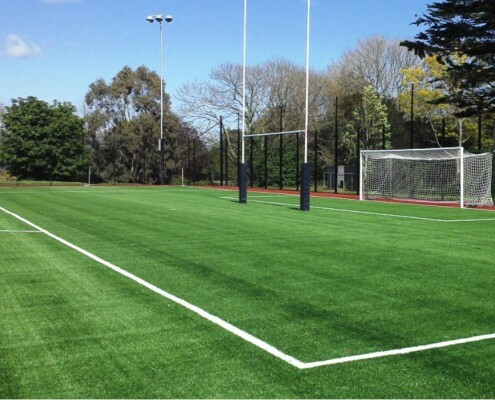 Over the last few years there have been many advances in the development of artificial grass pitches for sport. 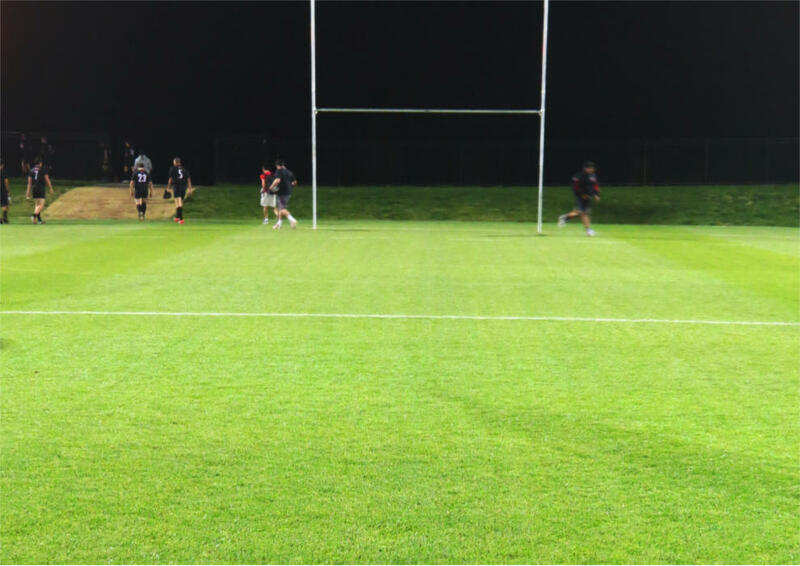 These new surfaces – known as 3G or third generation – are revolutionising the game of rugby. 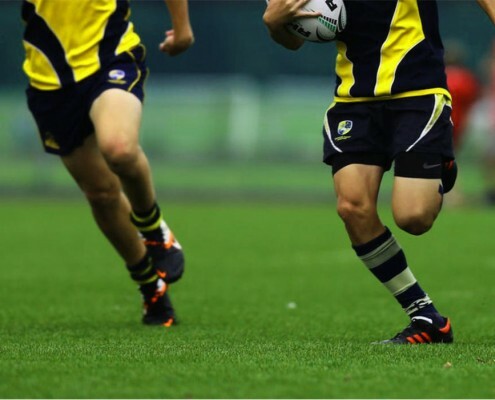 They have been developed to replicate natural turf, with outstanding performance, reduced ball bounce and offer a higher level of safety for players. 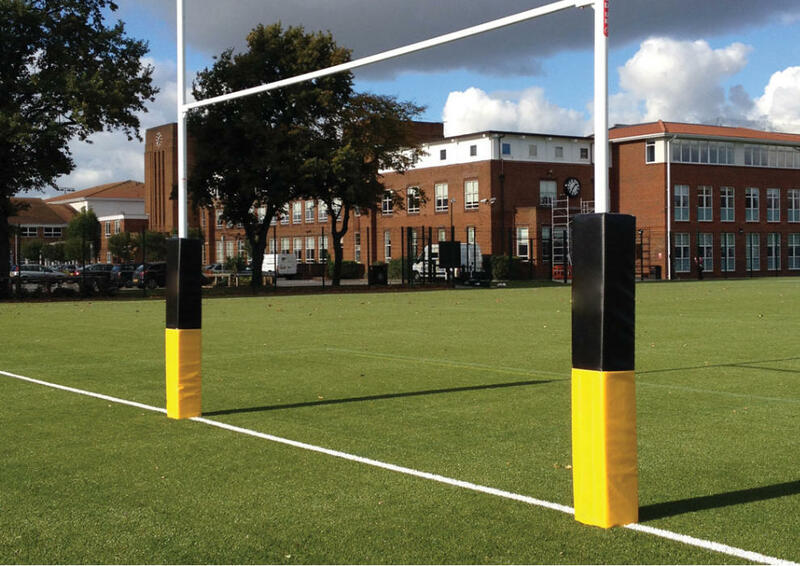 They use a longer pile height compared to previous surfaces with improved stability by using sand and rubber infills. 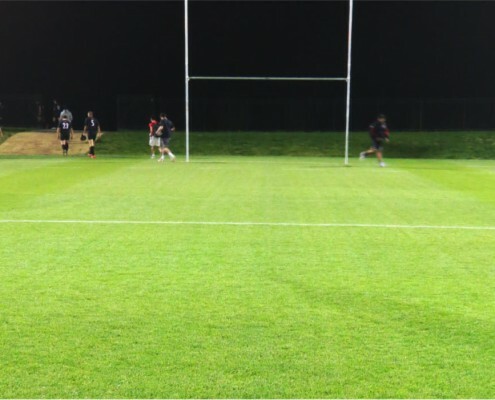 An artificial rugby pitch requires a playing surface that has excellent responses for interaction between the player and the pitch. 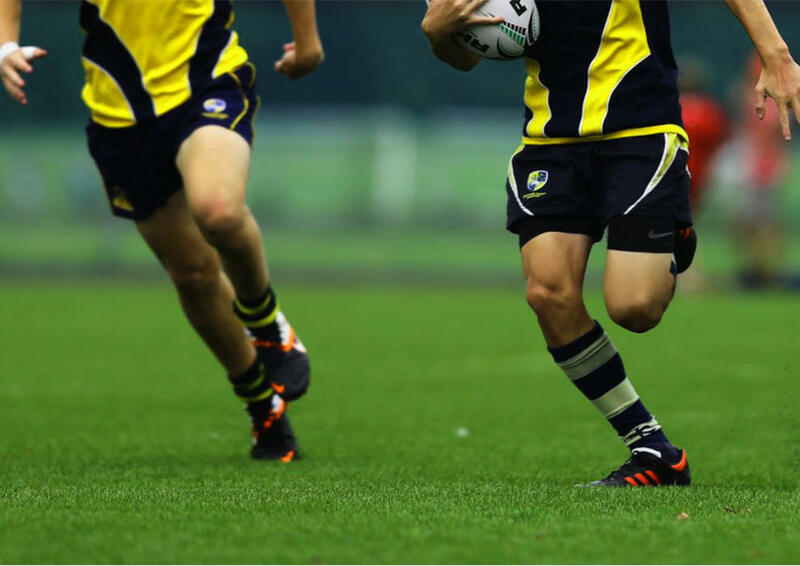 To minimize the risk of player injury, in particular impacts to the head, it is vital to maintain optimum shock absorption. 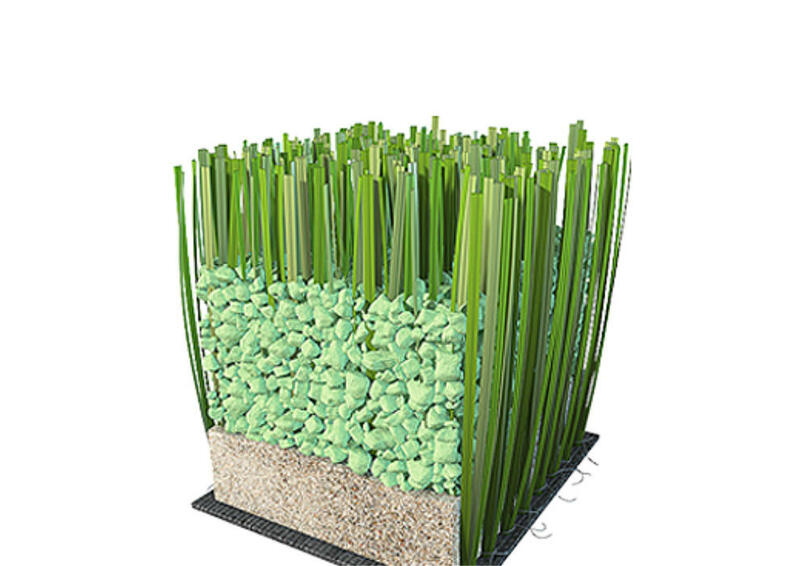 To obtain this, the artificial grass requires a greater pile-height in order to accommodate the greater quantity of the sand and rubber pellet infill. 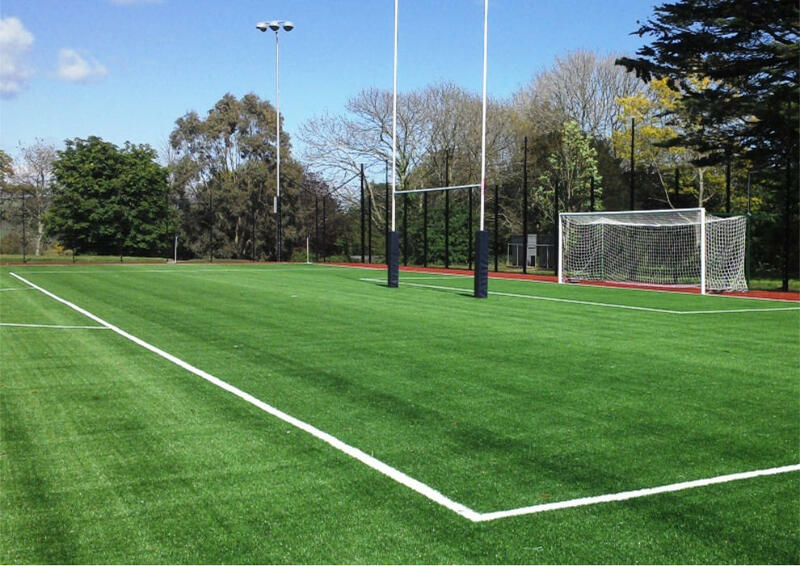 The inclusion of a layer of Shockpad underneath the artificial grass assists in achieving these conditions and the rubber pellet infill enables player traction and minimises the risk of injury. 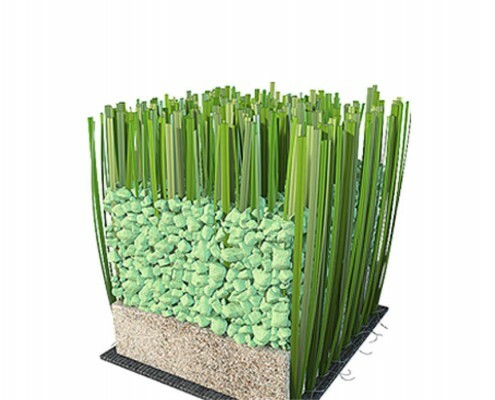 An EliGrass artificial grass system is highly durable and resistant thanks to its UV protection, and the upright blades will enhance the resistance. 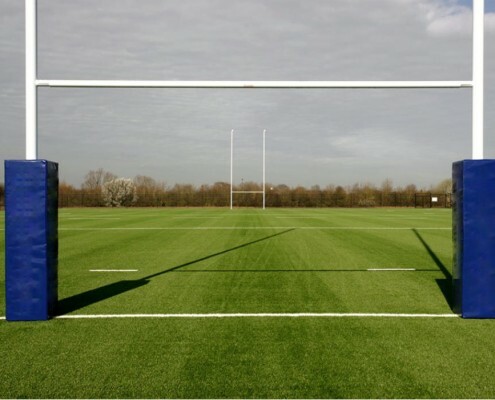 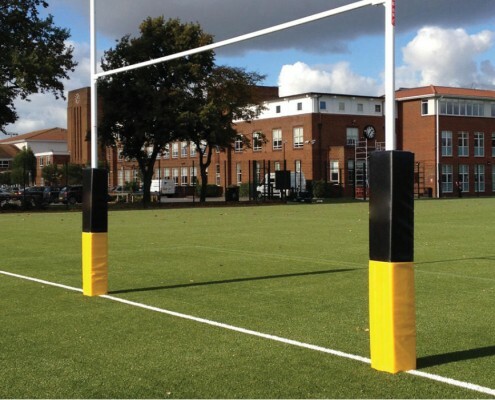 EliGrass recommends the use of high quality systems for your artificial rugby pitch, that incorporate grass filaments composed of polyethylene to minimise abrasion, a minimum pile height of 65mm, filled with sand and rubber pellets and incorporating a layer of Shockpad underneath the surface. 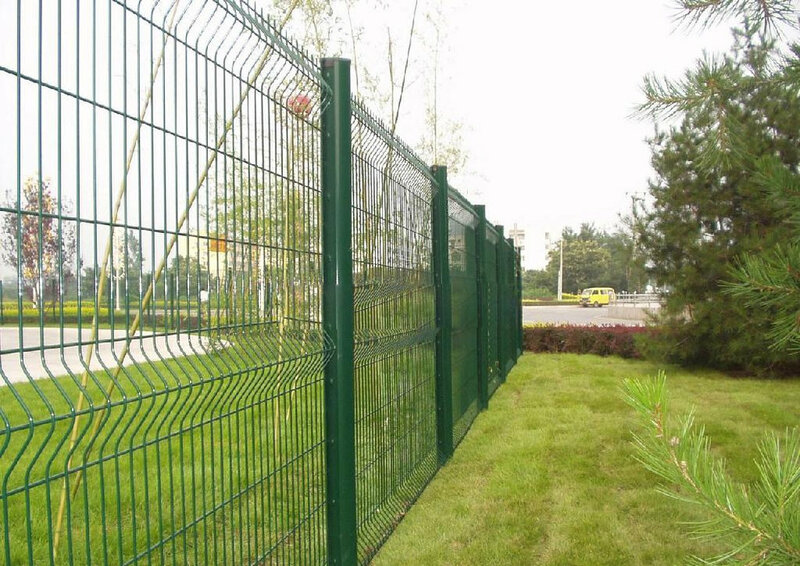 65mm pile height. 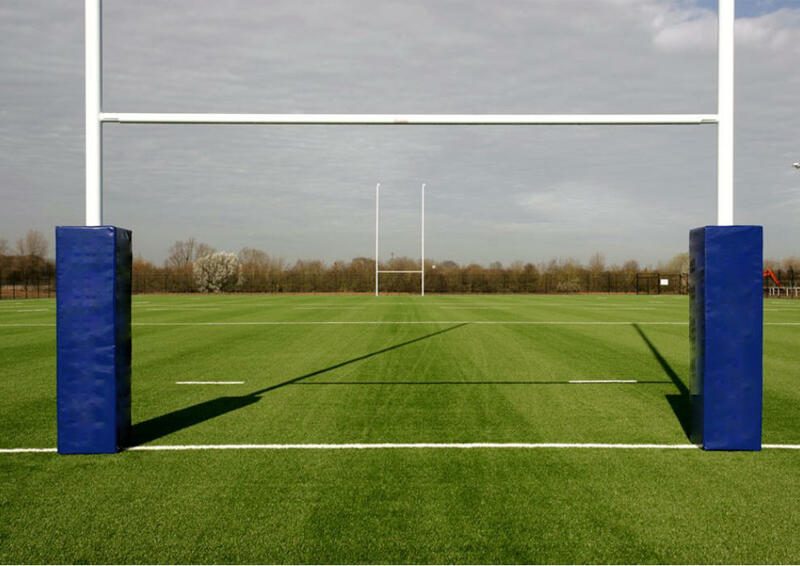 This new fibre is equipped with semi-concave monofilaments and the triple asymmetric spines provide excellent resilience which, in turn improves the technical and sports capabilities. 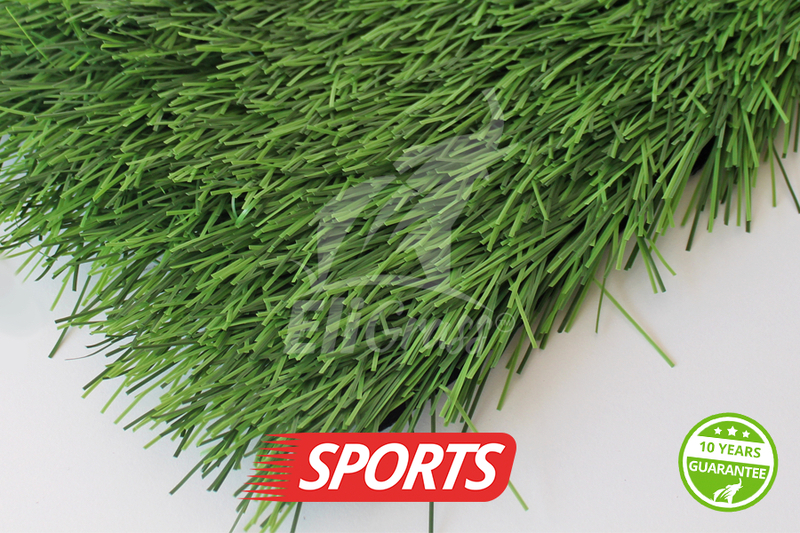 The cutting-edge monofilament improves resistance and optimises the performance of the artificial grass system.